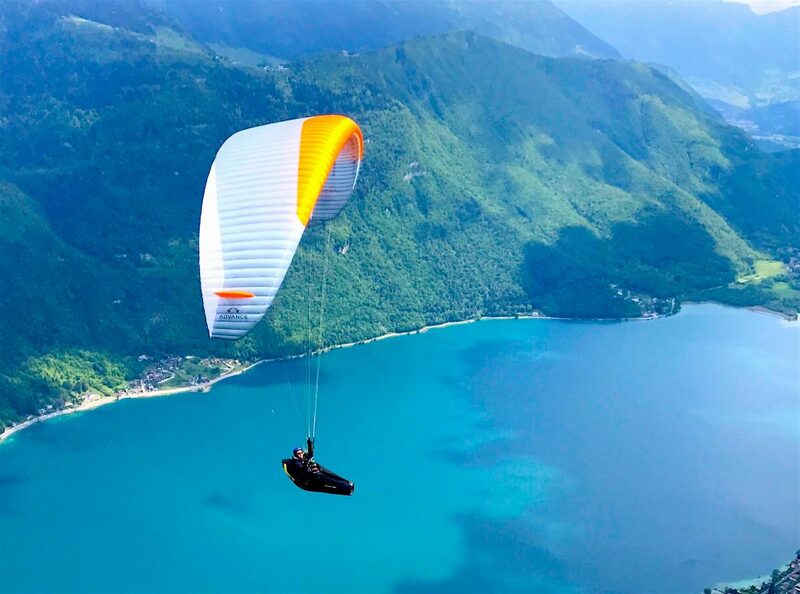 There are some changes coming that will have a significant impact on property owners in Summit County, and every other tourist destination, in the future. The rise of the VRBO and AIRB&B Internet property sharing industry is quickly forcing changes in law and regulation as well as in the established rental management industry. All of the towns, the County and even individual homeowners associations in Summit County are writing or have already put into place restrictions and registration requirements on short-term rentals by owners. A lot of this has been caused by the lack of supervision by absentee owners of their short-term renters now that local management companies are handling perhaps only half of the short-term properties they used to. Regulations vary a lot but owners usually have to hire a local supervisor of some kind to control noise, parking, trash and other nuisances quickly. They will also increasingly be required to register short-termed properties with local government and buy a license to enable enforcement of these rules. Many homeowners associations are limiting or halting short-term rentals. 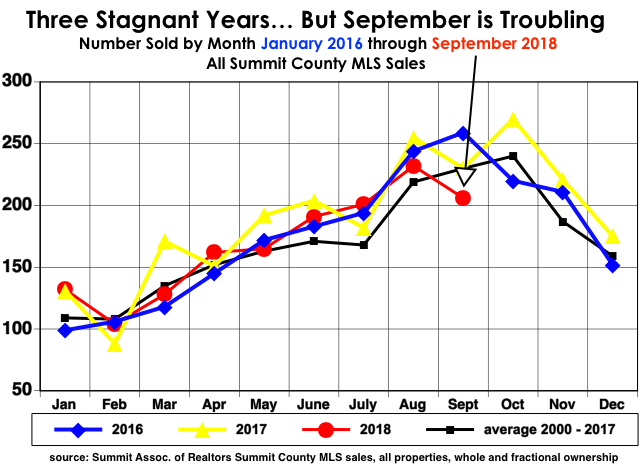 This has not impacted property values to any great degree so far because about half the second homes in Summit County are not rented. The impact will probably be limited in the future, especially since rentals can only defray some of the costs of ownership at present levels and are not needed by most second home owners to be able to afford the property. Long-term rentals of six months or more are generally not being restricted except in two or three neighborhoods where occupancy even by the owner is limited to less than 12 months per year to prevent the properties from becoming de facto affordable full-time housing. This is not just a Summit County thing. Most resort and tourism oriented areas in the US and other countries are feeling the impact of over-visitation and support among the permanent residents is building to restrict visitation to sustainable levels (think Venice Italy). As the world population has grown and approached economic parity with the First World (think China) tourism has become the largest sector of the global economy. Watch for more restrictions like noise ordinances (Frisco) occupancy restrictions (certain HOA’s), and limitations on visitor numbers (Yellowstone, Kauai, etc.) attempting to keep things the way they used to be in the olden days. Good luck with that! This is it folks… the last Real Estate Insider after 32 years of writing them. Those of you who have owned in Summit County for that long have received this newsletter over 120 times and have seen it grow from an ugly one page dot matrix printed black and white publication to the four page full color issues of recent years. The content has not changed, however. And Here’s Where You’ll Be Able to Reach Me! Since 1985 I’ve given you my best opinion of what was to come and advice on how to prepare for it. Many of you have thanked me over the years for that advice and have done very well because of it. 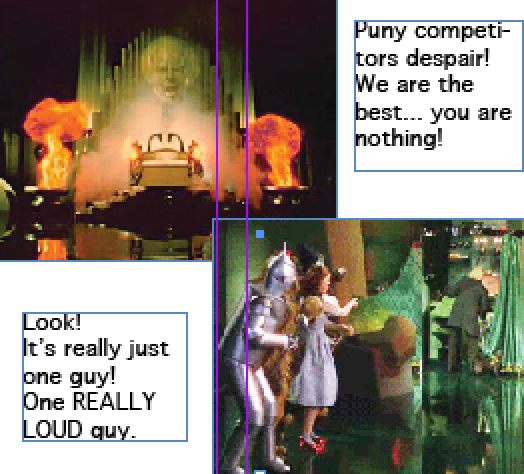 I’ve never resorted to puffery or hype to boost my business or our market. I learned early on that over promising doesn’t pay. This has not sat well with some buyers and sellers, but I’ve rarely been proven wrong. I’d rather be considered too conservative than to promise what can’t be delivered. Sometime in the next few months I’ll be wrapping up my practice. Until then I’m still in the same full time business. I won’t become a part-time broker. In my opinion, as I have indicated over the years in this newsletter, there is no such thing as a part-time broker. There’s a lot more to serving the public in the most complex and expensive transactions they’ll do in their lives than making a few phone calls from the couch and getting a big check. 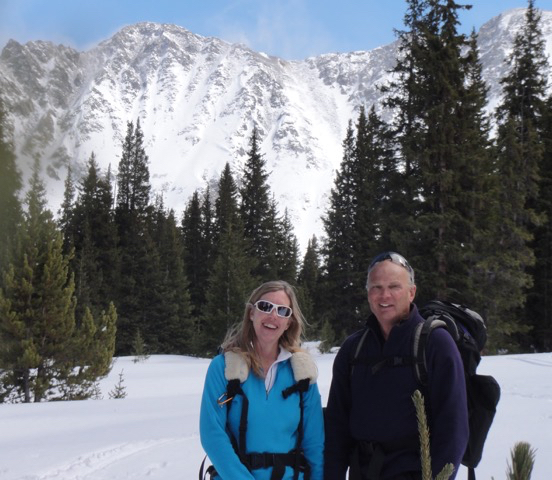 When I stop taking listings and working with new buyers at some point in the next few months, I’ll turn my client base over to Jason Smith, owner of Colorado Real Estate Company. I chose Jason because he’s established and works in a lot of the same neighborhoods that I’ve specialized in for the past few decades. A lot of you already know of him through his mailings. He’s got ten fewer years experience than I do, but has averaged the same number of transactions as I have per year. Most importantly, he’s a serious full-time Realtor who takes care of his business in the same spirit that I have. I’ve found in my dealings with him over the years that he’s more about fairness and honesty than just getting the next deal done. Just like me, I don’t think he cares enough about the money to lie. If you get to work with Jason, I think you’ll be just as impressed with him as I have been. I know you’ll be taken care of at the same high level as I have worked to do for all of these years. I’ll send you all his contact information when I get closer to the time. I’m available until then, of course. So after nearly 1100 transactions and after 32 years of being on three ring alert seven days a week, after well over a quarter-billion dollars in sales, soon I’ll take the rest of the day off. I want to thank each and every one of you who have supported my practice for all these years. I wish you all well and many happy years of enjoyment of your place in Summit County. Despite fears that drought would kill the fall color season… we had one of the earliest, longest and brightest finales of leafy splendor in recent memory. The aspens lasted over 4 weeks this year before dropping off by themselves instead of being frozen and snowed off as usually happens. The roads were clogged with happy leaf-peepers! Just an idea ahead of its time… those two wheeled juggernauts called Segways will not be appearing on the streets and, more importantly, the sidewalks of Breckenridge any time soon. Can you imagine packs of Kansas grandmas wobbling through weekend crowds? Bring your steel toed boots. Shared E-bikes, on the other hand…are piling up all over towns in Summit as hipsters grab them to ride to the bar and leave them for the next guy, usually right in the middle of the sidewalk. No ban on them yet, but it’s probably coming. I see them piling up behind the Police Dept. Half of Downtown Dillon was demolished and hauled away last week… as they make way for a new hotel and condominium complex at the entrance to town on Lake Dillon Drive. After years of starts and stops, it looks like these projects have finally begun. So you know what that means… the next recession is imminent! 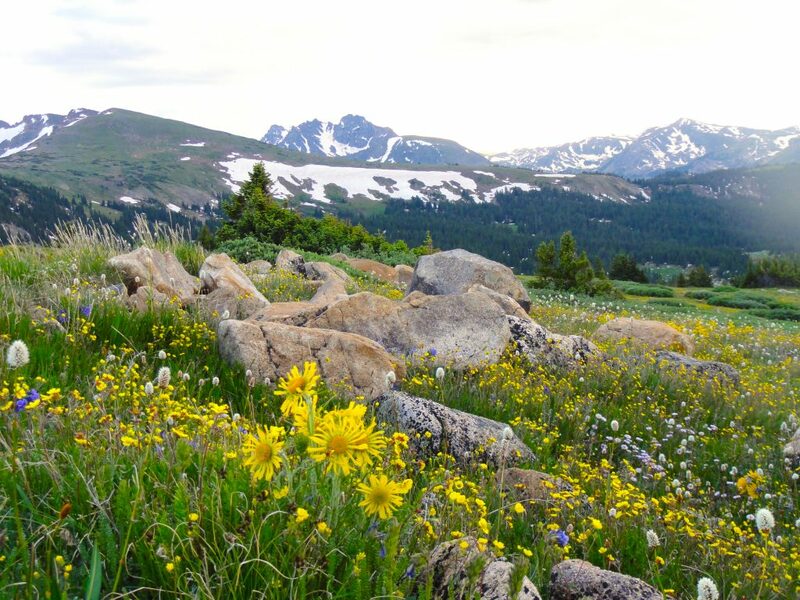 And in a remarkably accurate, informed and prescient prognostication… Chuck Leathers has predicted that Summit County will continue to grow and prosper for decades to come with big but not unbearable changes. Snow will still fall, leaves will sprout in spring, mountains will still stand, no home delivery of mail will ever become available, and Texans will continue to be Texans. Spooky how I know all this, eh? First Quarter sales dropped slightly for the first time since 2012 from 391 last year to 358 this year. After the Lost Decade that began in 2009, first Quarter sales, and sales in general, have never recovered to the high point reached in 2006. In 2006 first Quarter sales reached 543 properties and there were routinely around 3000 total sales per year in the mid-2000’s. This is why we live here after all! 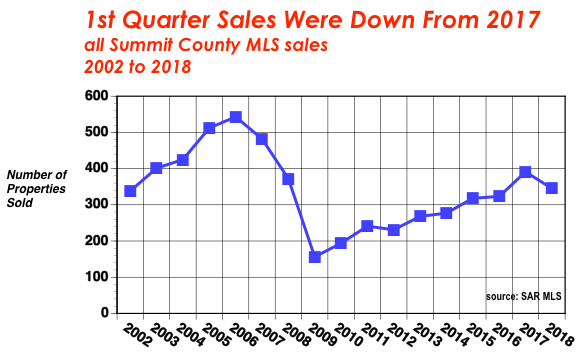 Last year 2258 properties sold in Summit County, 24 percent fewer than in 2006. Prices, however, have been on a rampage increasing by over 15 percent last year alone, the largest one year increase since 2007. 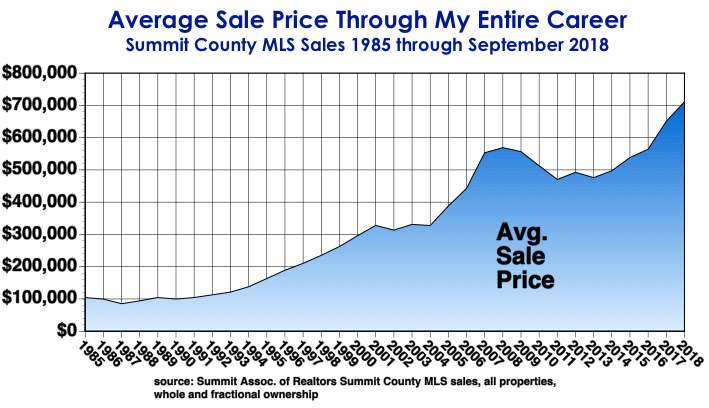 Lack of inventory has exacerbated the inflated prices. Each new listing hits the market with perhaps 400 automatic notifications going out to buyers who have been waiting for new inventory. This has made multiple offers routine with outrageous terms like escalator clauses, huge down payments and waived due diligence. Understandably, new buyers feel whipsawed by the quick action required and the prices and terms they need to match on the first couple of tries. Then they either decide this market is too crazy for them or they get aggressive. More of them are choosing the first option and the number standing in line is diminishing. That is another reason sales have been flat for three years. This is exactly the kind of market we saw in 2005, 2006 and 2007. Buyer frenzy for scarce inventory drove double digit price increases. Then came the Bush Depression of 2009 and by 2011 the average price had dropped by 20 percent and sales by more than half. 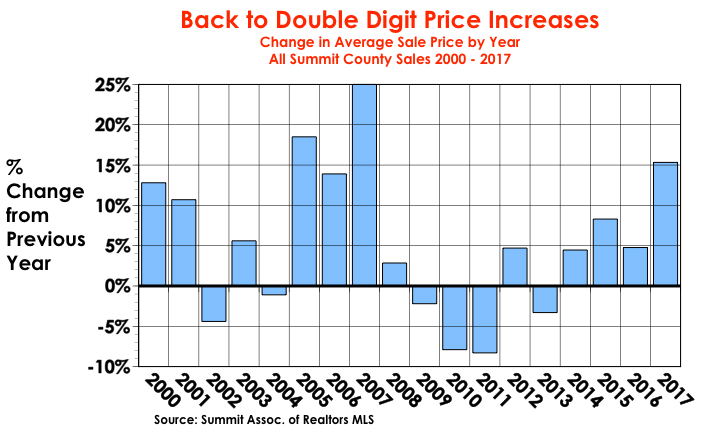 That was the first time ever that prices had declined by more than 5 percent and for more than one year in Summit County. There had been a couple of dislocations like 9/11 and the Dot.com bust that had caused soft prices for a year, but prices were essentially flat. That has changed now. Although our society seems to have adjusted to chronic chaos and uncertainty, the overwhelming confidence that characterized the 25 year period from 1984 to 2009 is certainly gone. 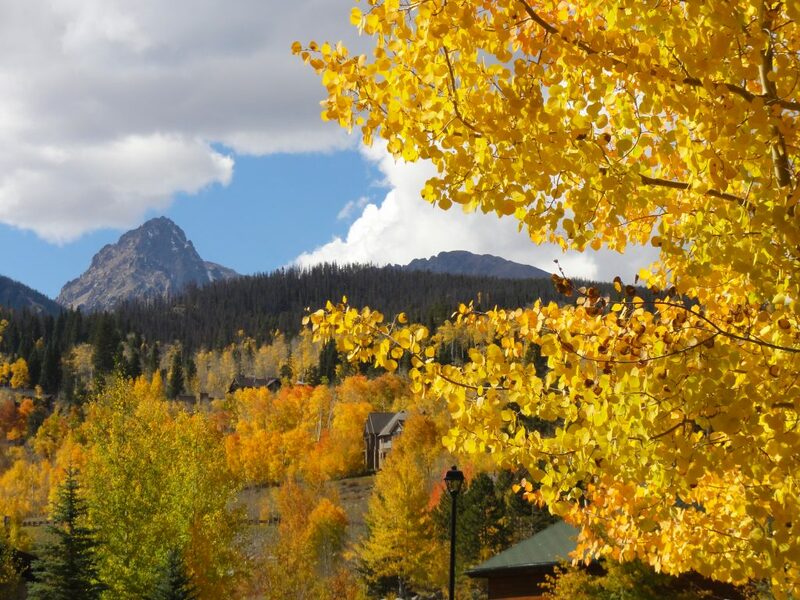 Summit County is a luxury second home market and as such depends almost entirely on consumer confidence and growing disposable income. Economic uncertainty causes consumers to think twice about luxury purchases. Because there are twice as many Americans as 50 years ago, there are also twice as many with the resources and confidence to buy second homes. But many are Boomers who have done so already. Our buyer market is now largely made up of those wishing to move up from the entry level properties and a lower number of affluent youngsters than during the Boomer years. Those who have their place in the mountains are generally going to keep them now that their retirement plan is in place. So the immediate future is probably characterized by continued low inventory and fierce competition for it until the next economic cycle begins. That could be tomorrow or ten years from now. Don’t get caught up in the frenzy just because everyone else is. Buyers and sellers in this market should act based on their own desire to be here in the mountains, to enjoy the life here. Get informed, but don’t try to outguess or overthink this. Do what makes sense to satisfy your own needs and dreams then enjoy the results. 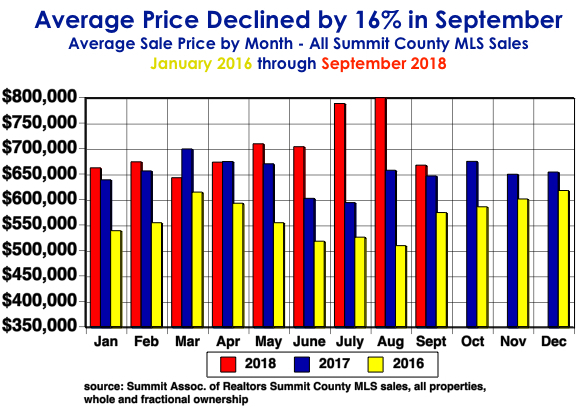 Trying to buy a property in Summit County? Here’s what to expect. Since October of 2017, there have been the fewest number of properties for sale in history. The number of properties priced under $700,000 has hovered around 100 for six months. A thousand will be sold this year. For the past six years, the inventory has declined steadily each year. In the first half of the year, we should have about 1500 properties of all types on the market. The inventory should peak at around 2000 properties in July. This year we have under 550 properties for sale and last July the peak was under 1000. This year it will probably be less than that. 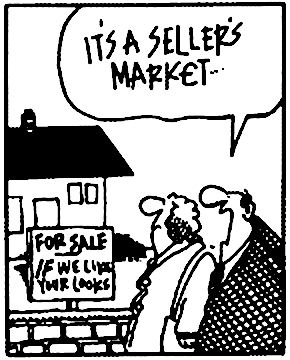 Buyers for the lower half of the market have been waiting for the next property to be listed. Every active Realtor in Summit County has several buyers on automatic notification so that they know instantly when a new property appears. New listings routinely get four or five hundred notifications sent out. A couple of dozen buyers respond, several travel to see the property in its first few days on the market and often a couple of those make an offer. Sometimes the offer comes from a buyer who has not seen the property but has their broker walk through for an iPhone video. Usually an accurately priced property is gone in a day or two. Only the most unrealistically priced properties stay on the market longer than that. Even million dollar plus properties will sometimes sell in a few days, but that market segment remains oversupplied. Buyers who have been through this process and lost out have begun to add an “escalator” clause to their next offer. In short, this tells the seller that the buyer will beat any other verifiable offer by a certain dollar amount, usually with a cap, sometimes not, typically resulting in a sale at more than the asking price. So what does a buyer have to do to get an offer accepted? The best chance begins with a full price cash offer with the escalator. Every contingency or other out for the buyer lessens the odds of success. Buyers even waive inspections, appraisals and loan conditions. Buyers who need a mortgage should put as much cash down as possible and have a pre-qualification letter in hand from a lender to go with the offer. Personal letters to the seller from the buyer explaining why their offer should be accepted are common and sometimes result in the seller taking a lower offer for sentimental reasons. The point is that buyers need to convince sellers to take their offer over another and it takes planning and strategy to get this done. This will change when a normal inventory returns and it’s not such a brutal seller’s market. But for now, this is what it takes. The short-term rental market is changing. Every year brings more regulation, more license fees and taxes and political pressure for fewer short term units and more long-term worker housing. First, towns and counties can’t raise enough sales and property tax revenue to fund operations so they are turning to other taxes and license fees to bring in revenue. Because tourism is the largest part of our economy, lodging is the logical source for new revenue. Towns are going as far as to pursue online travel companies for taxes on bookings at their sites and tracking down bandit landlords on social media and Craigslist. Second, because half of second homes are never rented, many neighbors who don’t rent don’t want short-term renters next door. Short termed properties tend to bring more traffic, parking and noise issues among other things. Many homeowner associations are limiting rentals to several weeks or more. And third, there is a continuing perception that somehow short-term rentals are stealing housing from locals. 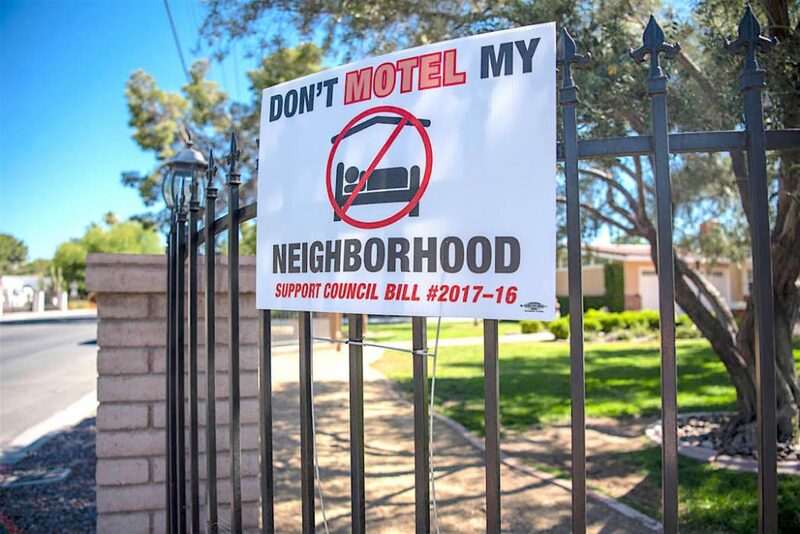 Never mind that instead of making owners rich, short-term rentals can only help defray the cost of a second home and a long term tenant rules out occasional owner use. Also, properties that are affordable for locals to buy are generally not good prospects for short-term rental. In addition, because so many absentee owners rent through VRBO and AirB&B, towns and associations are starting to require a local manager to monitor the property. This and licensing helps governments keep track of who’s renting and helps them collect the lodging taxes. There will never be enough local housing and tourism will only continue to grow. If your property isn’t subject to these changes yet, it will be sooner or later. Ask questions about these issues if you are a prospective buyer and if you are an owner, pay attention to the news. And beware of managers who project astronomical income from renting your property short-term. Our main short-term rental season is from Thanksgiving to April 15 in the best of years, 150 days or less when rents are the highest for the year. Summer rentals bring half as much. If you use a manager, you’ll pay a hefty commission out of your gross income. If you use your place at all for Christmas, New Year’s, MLK week, Presidents week and all of March you will cut into your best revenue period. If you are dependant upon rental income to do more than defray some of your costs, you may not be ready for a second home. If you are a second home owner or thinking of becoming one, you may want to talk to a lawyer about setting up a limited liability corporation or other legal entity and operating the second home as an LLC. 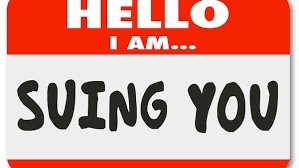 In case you are sued by someone using the property after you bought it, you can limit your damages and protect your personal assets against losses. Suppose a contractor makes negligent repairs to a deck and it collapses while tenants and guests are having a barbecue. The judgment in a case like this could easily exceed the equity you have in the property and even the coverage limits on your insurance policy. Or let’s say the carbon monoxide detector is faulty and the property has a 20-year-old furnace that develops cracks, releasing gas indoors. Tragically, a family of four staying in the property is killed. The owners could face four wrongful death actions caused by negligence. These are rare occurrences, to be sure, but they point to the gravity of risks that investment property owners can face. In fact, the scenarios illustrate one of the main differences between real estate and other types of investments like stocks or bonds: real estate can carry risks that exceed the investment in the asset. Of course, an owner’s first layer of protection is insurance, but owners might fail to recognize that their losses can exceed coverage limits. Investing in real estate can be a smart decision. The right property can outperform other investment vehicles. But it makes sense to have sufficient insurance and to consider setting up an LLC or other type of entity to separate your liability from your personal assets.